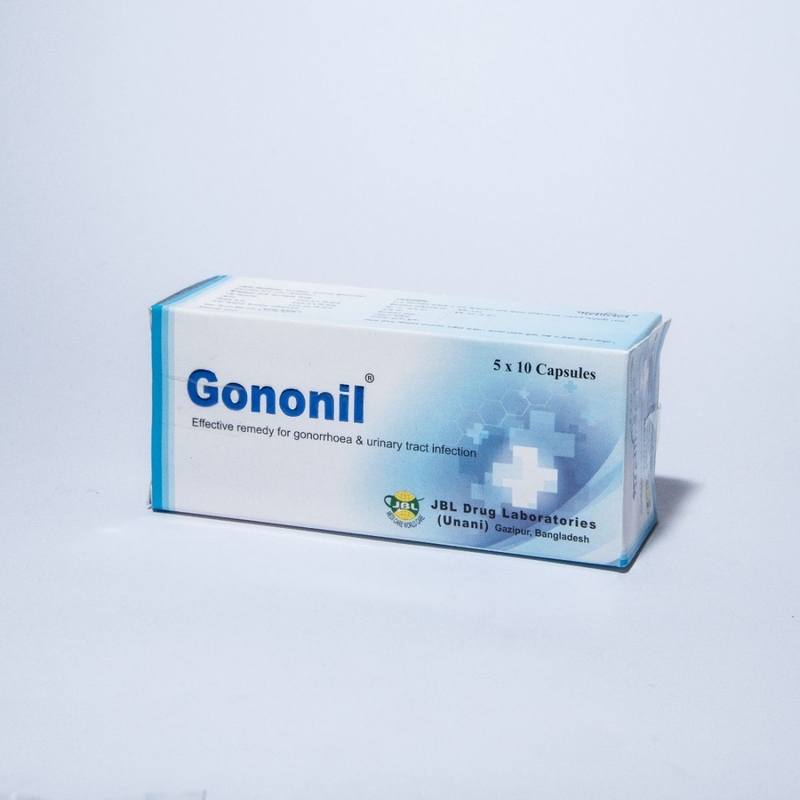 GONONIL | JBL Drug Laboratories. Gonorrhoea, Burning Sensation during urination Urinary Tract Infection and leucorrhoea. Gononil capsule is a preparation of active ingredients such as Pinus longifolia, Cicer arietinum, Calcined pinctada margaritifera and other ingredients ets. all the ingredients are well known for their stimulating and aphrodisiac properties because of their various special chemical constituents (active constituents). 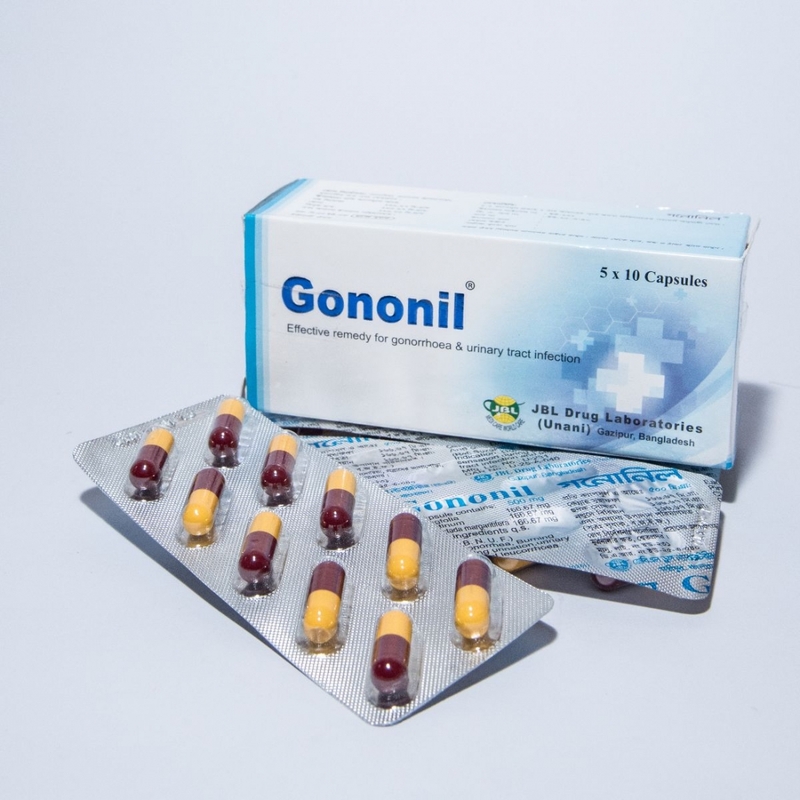 By virtue of extensive research in JBL DRUG Labratories,the unique formulation of Gononil Capsule has been developed specially for Gonorrhoea, burning sensation during urination, urinary tract infection and leucorrhoea. 1-2 Capsules twice daily before meal or as directed by the physician. Keep out of the reach of children. Do not use the drug after expiry date. store at cool and dry place away from light. Each box contains 5x10=50 capsules in blister pack . No significant side effect has been observed in therapeutic dosages.